Tangrams, which originated in China, are popular puzzle for kids and adults. 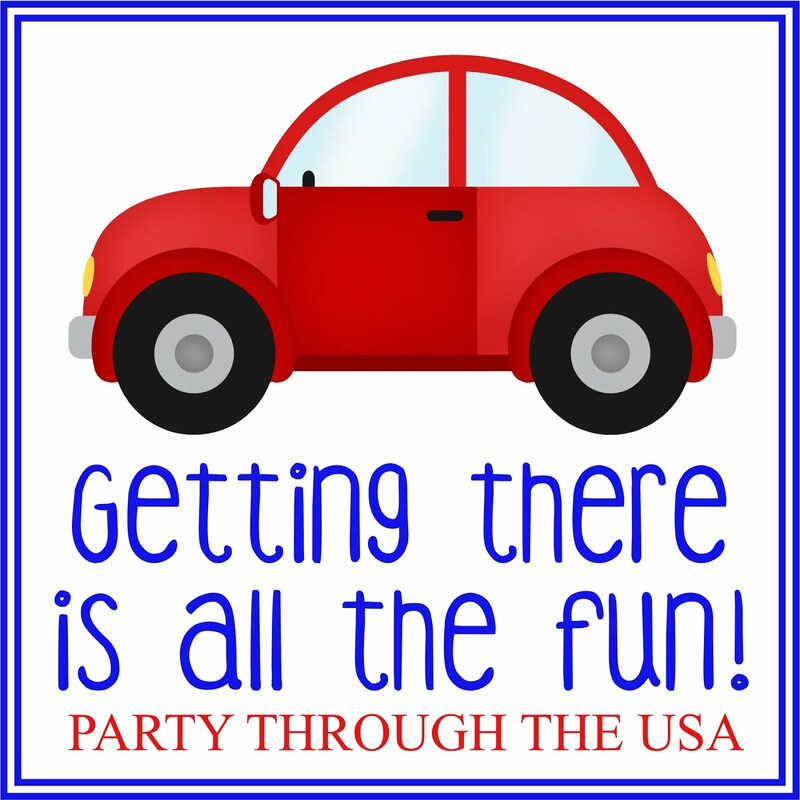 They can be very simple or very complicated depending on how the puzzle is presented. 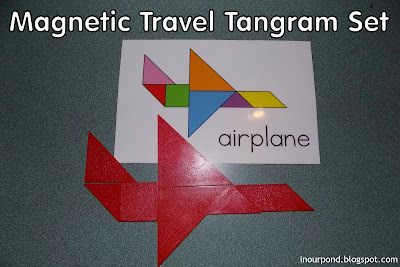 For this week's Travel Time Tuesday, I'm sharing an airplane travel version of tangrams that's cheap and easy to DIY. I started with this Plastic Tangram Set from Learning Resources, which came with six compete sets of tangrams in six colors. I loved all the different colors because it allowed me to make many sets for my family and had some left over to give as gifts. Next, I stuck the tangram pieces onto Magnetic Sticker Paper and cut around each shape. The tangram set is now magnetic and can be played with on a whiteboard, a cookie sheet, or the fridge. I used my scrapbook program and the tangram puzzles from The Tangram Channel to make puzzle cards for my kids. 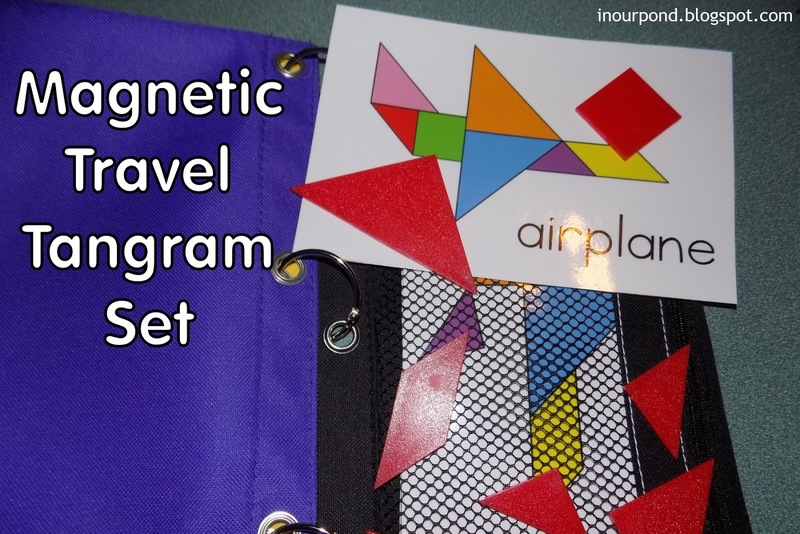 Each card fits in a pencil pouch along with all the tangram pieces. Unfortunately, I can't share my puzzle cards since I didn't create the pictures. 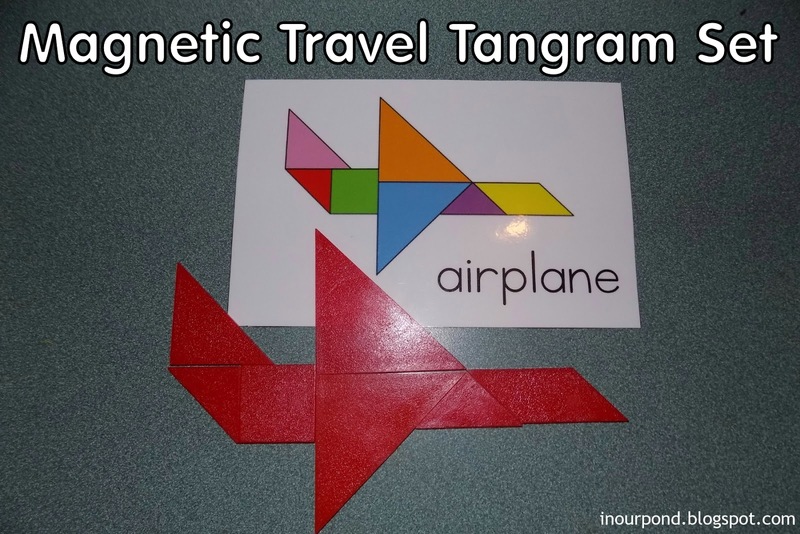 However, you can print puzzle worksheets on the Tangram Channel website. 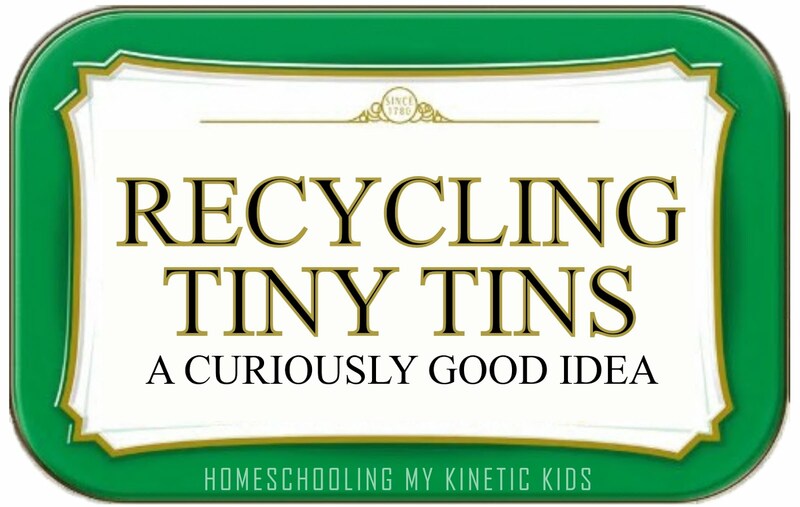 I think this memory game would work really well and could fit in a small tin for travel.